This is the cover from the Fall 1977 Disney News, the Official Magazine for Magic Kingdom Club Families. On the right side of the image, you can make out the flote dock. The left side of the photo offers a glimpse of the entrance to the Empress Lilly. What caught my attention, though, are the lamposts along the walkway. 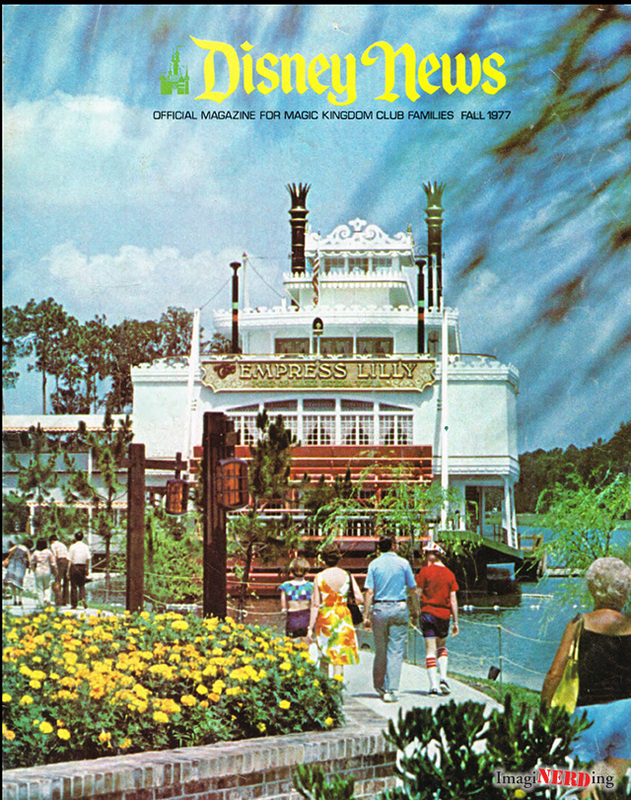 Did you ever get to experience the Empress Lilly? Check out Since the World Began: Walt Disney World, the First 25 Years by Jeff Kurtti to learn more about the Empress Lilly, the Disney Village and so much more!